Harley Quinn's Revenge has had the opposite effect on me than whatever its creators likely intended. The linear, two-hour $10 PS3/Xbox 360 epilogue to last October's excellent Batman: Arkham City has diminished my desire to return to that game and give me new worries about this Batman series' future. This add-on is as delicious a dessert as a poison-filled Joker pie to the face. Revenge is confined to the game's steelworks, the drab section on the lower-right corner of the glorious Arkham City map. Most of the main game's Gotham is locked off, so you won't be able to fetch the couple hundred Riddler trophies you failed to snag while finishing the main game nor commit to any unfinished sidequests from the generously large Arkham City. You will be on a linear adventure, only playing through Harley's unimaginative revenge. The displacement of Arkham City's openness for linear adventure could have been an enjoyable ode to the creepier, more focused Arkham Asylum. It's not. The displacement of Arkham City's openness for linear adventure could have been an enjoyable ode to the creepier, more focused Arkham Asylum. It's not. 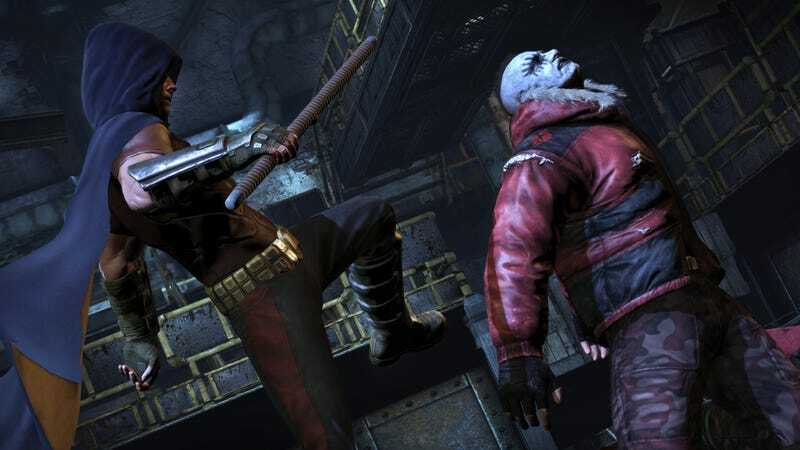 Harley's is a scraping of late-game concepts from Arkham City: combat against large crowds of thugs, many of whom wield riot shields or shock batons to force you to use special fighting combos; interrogation sequences against susceptible thugs; rudimentary use of several returning Bat-gadgets, etc. There is nothing here that Arkham City storyline completers haven't seen, except perhaps the opportunity to play as Robin. Robin is your first playable character in the DLC, introducing what could have been a good gameplay dynamic duo that would let you switch from Robin sequences to Batman sequences. In practice, this happens. You'll play Robin for a half hour, then Batman, then Robin, then Batman. Unfortunately, as players of Robin's DLC challenge rooms know, the Boy Wonder does not play much differently from Batman. Sure, he swings a staff and has a shield, but he is essentially the same melee-focused striker and counter-striker that Batman is. He has similar gadgets and gets out of jams with similar panache. Two hours gone, you'll be done with Harley's and perhaps wonder what the point was. If you've played much single-player DLC these past few years, the comparisons nearly all tilt against what you've just done. Fallout 3's Operation Anchorage similarly funneled its open-world main game into a linear adventure but did better by taking players somewhere new. Mass Effect 2's The Arrival controversially turned the series briefly into a solo Shepard adventure but at least signaled strongly the stakes of its sequel, Mass Effect 3. Grand Theft Auto IV's episodes added new storylines led by interesting new playable protagonists into its excellent open world. Infamous 2's Festival of Blood playfully dabbled with a radically different tonal shift. Harley's does none of the these things, let alone do them well. 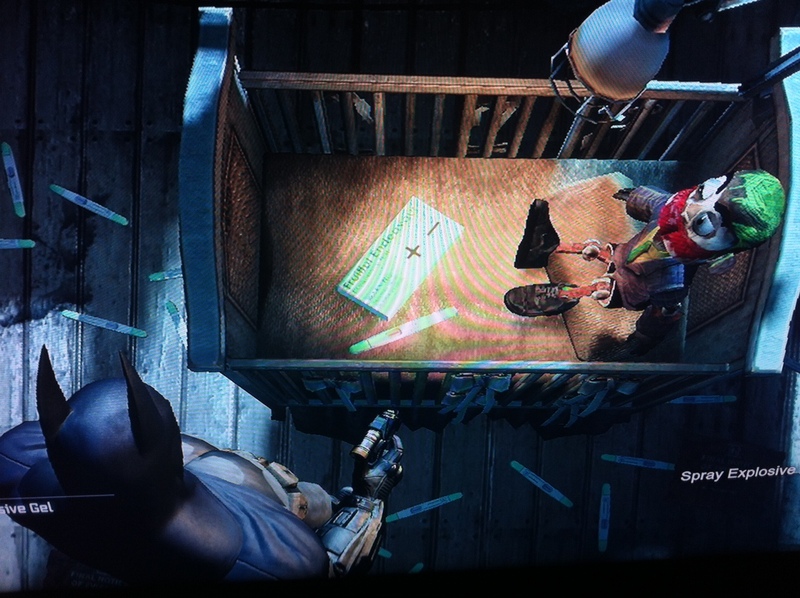 Harley Quinn's Revenge sits uncomfortably in the shadow of Arkham City's day-one Catwoman DLC. That October adventure gave us several Catwoman adventures woven into the game's grand city. It gave us a playable Bat-icon who controlled similarly but just differently enough from Batman—a wall-crawler, more like a Spider-Man, really. It was worth buying the game new to play it or worth grabbing later as a downloadable bonus. Harley's is not. Instead, in rummaging through Arkham City's leftovers and coming up with nothing new, Harley's places the Arkham games at an unexpected juncture: were the series creators at Rocksteady holding back here, saving their new ideas for a new game or have we evidence that a lovely two-game formula has run its course?